Andre Iguodala, the Golden State Warriors forward who won this season's NBA championship with his team Tuesday night along with the Most Valuable Player award, thanked God for the win and said the team is "full of believers." "(We've) got a team full of believers. 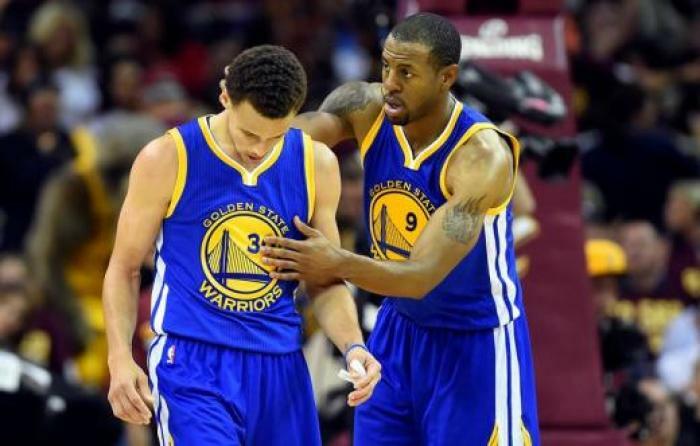 We all say God has a way for you and a purpose for you," Iguodala, 31, said after receiving the MVP honor. "I want to be just like Steph (Curry) when I grow up — just a God fearing man." Stephen Curry, the Warriors' beloved point guard who received the regular season MVP honor, frequently honors God on and off the basketball court and usually points his fingers toward the sky after making big plays. In accepting the award in May, the point guard cited his faith as one of the keys to his success. "Sometimes people make it seem like you have to have certain prerequisites or a crazy life story in order to be successful in this world. But the truth is you really don't," said Curry. "It doesn't matter where you come from, what you have or don't have, what you lack or what you have too much of. But all you need to have is faith in God, an undying passion for what you do and what you choose to do in this life, and a relentless drive and the will to do whatever it takes to be successful in whatever you put your mind to." Before this season, Iguodala had started 758 consecutive games, according to ESPN. This season, however, he was relegated to a reserve role until Game 4 of the finals between the Warriors and the Cleveland Cavaliers, when he was substituted into the starting lineup for center Andrew Bogut. The Warriors beat the Cavaliers 105-97 Tuesday night to win their first NBA title since 1975. Iguodala's MVP award was also the first time a player got the award without starting every game. It also marks the first time that the finals MVP has been on the same team as the regular-season MVP since Magic Johnson claimed the honor in 1980 while playing on a Los Angeles Lakers squad with regular-season MVP Kareem Abdul-Jabbar, according to ESPN. "I've been blessed with an amazing group of guys in my first year, I can't believe how lucky I am," said rookie NBA coach Steve Kerr in the postgame press conference after his team's big win.